July 17, 2017 July 30, 2017 ~ Gypsy Moon Quilt Co.
Hello, all my thrifty sewing friends! I’m kicking off the #SewThrifted2017 “challenge” with a little Q&A about sewing with thrifted and vintage materials! Q: What’s the difference between the two? A: One is previously owned items like clothing and linens – usually purchased from thrift or second-hand shops & vintage clothing stores… the other is REALLY OLD, sometimes previously owned items – usually from thrift shops, estate sales, online sites, friends, neighbors, grandmas (everybody knows they always have the best stuff). Q: Why does the word “challenge” have quotation marks? A: Ah, you caught that, did ya? This isn’t your typical sewing challenge! There’s no right or wrong way to participate in this challenge. No provided tutorial or pattern, no rules, no rhyme or reason. Just you, your thrifted materials, your very own project of choice and a little helpful guidance from two kindred spirits who happen to have a passion for vintage fabrics and upcycling! 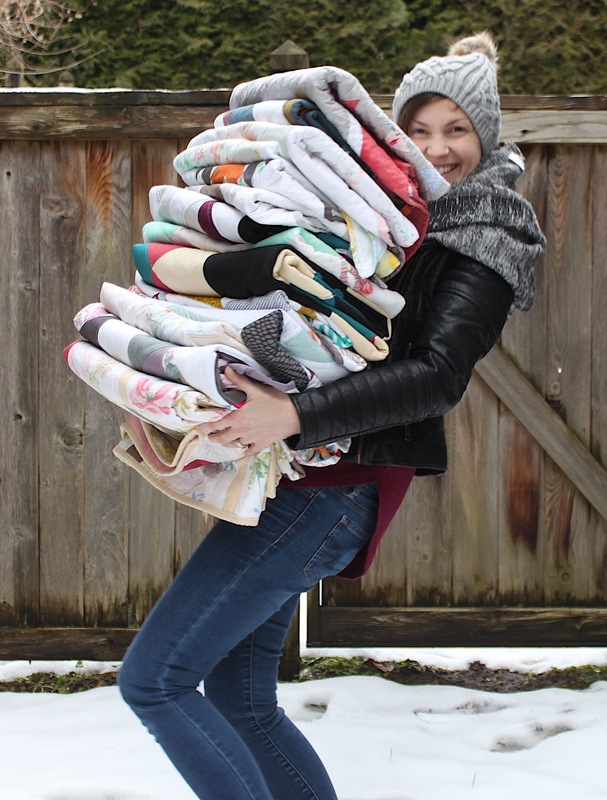 When Kelly from Vintage Fabric Studio asked me if I’d be interested in helping host this challenge, I didn’t even think twice! I get so many comments from people wanting to know more about working with upcycled materials – I thought this would be the perfect way to encourage others to just jump in head first and try it out! Go over to Kelly’s blog and check out her ST2017 post (and find her on Instagram too)! 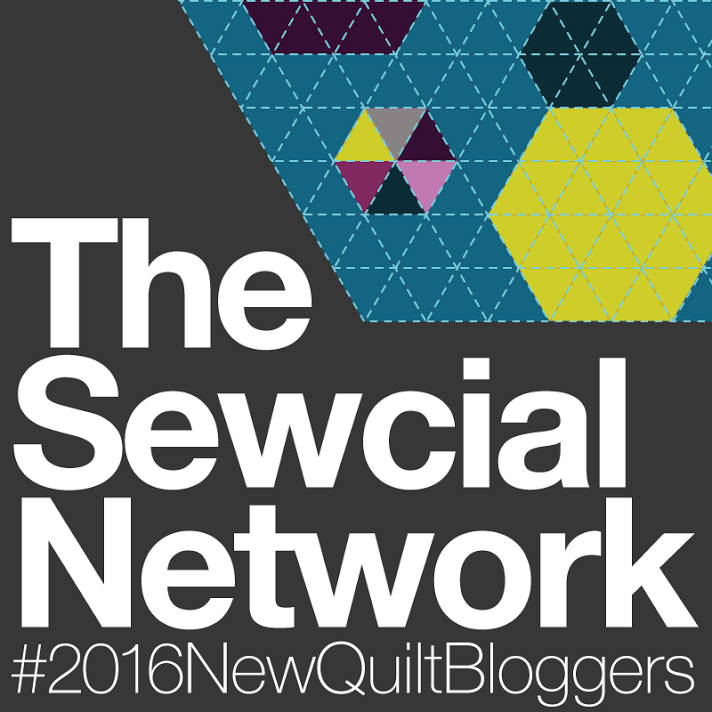 Q: So what is the Sew Thrifted challenge? A: We’re challenging you to get your creativity on by learning how to sew with thrifted & vintage materials and we hope you’ll challenge yourself to sew something FABULOUS using non-traditional fabrics! We’ll be with you for the next few weeks, guiding you along your Sew Thrifted journey. We’ll be providing tips for finding and working with these fabrics and answering questions along the way. We want to encourage you to use up all those gorgeous thrifted fabrics you’ve been hoarding collecting over the years and we want you to have some fun and meet other super cool people in the process! Use the hashtag #SewThrifted2017 on Instagram and find some new thrifty BFFs to start following! If you follow me on Instagram, you probably saw a recent post where I asked people to share what they would like to learn about sewing with thrifted materials. Today’s blog post is all about answering some of those questions and giving you the info you need to get started. I’ll be taking on the questions regarding upcycled clothing and you can check out Kelly’s blog post for questions on working with vintage sheets. Q: What types of fabrics would you recommend working with? A: If you don’t want the added challenge of working with difficult materials (and especially if you’re just starting out) you want to look for woven fabrics that appear durable and easy to work with. Fabrics like cotton, polyester-cotton blends and linen are all going to be easier to sew with. Try to avoid stretchy knits like jersey (t-shirts) and special fabrics like rayon, satin or silk. If it feels thin or flimsy, I usually pass. A good rule to follow: if you can see straight through it when holding it up to the light, it’s probably best to leave it on the rack. Q: When do I NOT want to use thrifted items (eg too worn out/ doesn’t launder properly). Anything I should be looking out for? Q: What about using heavier weight fabrics? Are they too thick? A: First off, and most importantly, you want to make sure your sewing machine is equipped to handle heavier materials. My first sewing machine was very basic. It struggled to sew through multiple layers of cotton fabric much less anything remotely close to being heavy duty. Denim…? Fuhgeddaboudit. With that said (and here’s my non-professional opinion) as long as your machine can handle the fabric and you know how to properly adjust your machine to accommodate your heavier materials… if you want to try it out, I say try it out! Test out some scraps and choose your battles. If it doesn’t seem like something you’re willing to possibly struggle with, then it’s a no-go. Simple as that! Q: How do I get rid of the smell thrifted fabrics have? Using a 1/2 cup of vinegar in the rinse cycle will not only help remove odors, it also acts as a natural fabric softener. Win-win! The vinegar-in-a-bowl treatment. Have you ever heard of pouring vinegar in a bowl or cup and sitting it around the house to eliminate odors? My mom used to do this when I was growing up. She would fill a small dixie cup with vinegar-soaked cotton balls and hide them everywhere. Behind picture frames, in the closets, under the chairs and couches… it totally worked! And oddly enough, the house never smelled like vinegar. This method works the same way – fill a small bowl with vinegar and hang your garment over it. The vinegar will work to absorb the smell. This works best if you can place the vinegar/ clothing combo in a smaller, more confined space. Vinegar in a spray bottle – saturate the clothing item and let air dry. When your clothing dries, the vinegar smell will disappear like magic (along with any other unwanted odors). You can also spray your clothes with cheap vodka to achieve the same result. Works in your fridge, why not on your clothes…? Place your item in a bag with baking soda, shake and let sit. This isn’t the fastest method – it could take a few days. Just like vinegar, add a 1/2 cup of baking soda to the rinse cycle. Just don’t use vinegar and baking soda together unless you’re using your clothing to conduct a science experiment. Avoid clothing with too many seams. You want to maximize your useable fabric – if you’re wanting larger pieces, look for items with less obstacles. Look for larger sizes when possible. Larger sizes = more fabric. Men’s dress shirts: These are usually made from higher quality fabrics and they don’t have much tailoring, which instantly gives you more available fabric to work with. Women’s shirts: While they have a bigger variety of colors and prints, they also typically have way more seams (and darts) than men’s shirts. I find women’s shirts are perfect for smaller projects or adding pops of color to larger ones. Jackets and blazers: Don’t skip the outerwear section! If you’re looking for more heavy-duty materials, these babies are prime real estate! Plus they’re usually pretty boxy, which maximizes useable fabric. Buttons + buttonholes, darts, snaps and zippers. Remember, zippers and buttons can always be recycled! Don’t rule out pullover style clothing like scrubs and other uniforms – they’ll give you 2 sides of useable fabric! Okay, party people, I’m taking this discussion over to Instagram, so go check out my post in a few. And be on the lookout for a linky party happening right here on my blog tomorrow where you can post your project updates!! Don’t know how a linky party works? Don’t worry, I’ll have details in my post! Hope you decide to join in! I can’t wait to see what you’re sewing! Thank you for the tips on getting smelly items fresh. I’m a lover of vintage sheets and linens. Sometimes they are nice but have the smelly problem. I’m excited for the rest of your posts. Thanks for all the tips and advice, Amanda! Your quilts are so beautiful and . this blog post is so informative and encouraging. Always loved the thought of sewing an upcycled quilt and have hoarded my husbands old dress shirts with this intention. Unfortunately I’m in the process of relocating to Singapore from England and just yesterday parted with my sewing machine and supplies (including thrifted fabric 😉) as they make their own journey across the world. Will definitely be checking in on all the information and action with this challenge. I may try learn EPP with thrifted fabric just so I can join in. No doubt those cleaning tips will come in handy – but yeah, best to avoid vinegar and baking soda together!! Ok, I’m off to sift through my stash to see what thrifted fabrics I can find! !